Evolutionary algorithms have been applied to function identification problems with great success. This paper presents an approach in which the individuals represent a partition of the input space in Voronoi regions together with a set of local functions associated to each one of these regions. In this way, the solution corresponds to a combination of local functions over a spatial structure topologically represented by a Voronoi diagram. 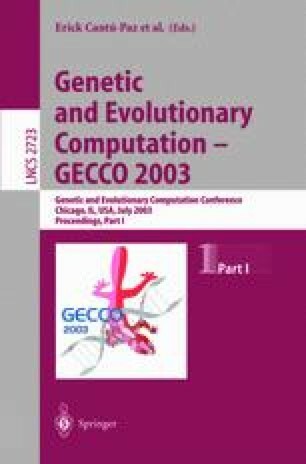 Experiments show that the evolutionary algorithm can successfully evolve both the partition of the input space and the parameters of the local functions in simple problems.